2011 Tru Turf RS48-11D greensrollers. Originally asking$8000 now REDUCED to $7000! Very nice and ready to roll! (Pun intended.) Approx 600 hours! *CALL 512-296-0292. PHONE CALLS PREFERRED. 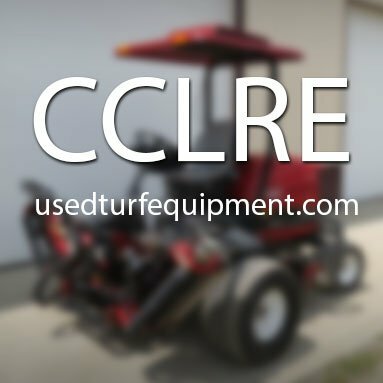 Multiple 2009 Tru turf rollers reduced for quick sale at $5200! New seats. Some have new tires. Hrs vary from approx 652 to 1052. *CALL 512-296-0292. PHONE CALLS PREFERRED. Used a tee mower with DPA reels runs and cuts good with baskets as is not sharpened. This is a 2017 Steiner 450 model 75-75025 with a kubota 25 hp diesel engine .This unit is capable of mowing at 30 deg for 10 minutes or less and at 20 degrees continually. has the same front setup to handle all steiner or ventrac attachments with rear weights . *CALL 512-296-0292. PHONE CALLS PREFERRED. The AR522™ five-gang rotary mower four-wheel drive traction, weight transfer control, and TrimTek™ decks allows you to glide over contours and climb hills . Ideal for maintaining intermediate golf roughs, greens and tee surrounds, and sports and recreational fields. • Five, fully floating 22 in. TrimTek™ contour rotary decks are the ideal size to mow hilly terrain with sharp undulations and reduce the chance of scalping. • TrimTek™ deck design with exclusive downdraft blade keeps clippings suspended longer for exceptional mulching results. Three-tiered discharge opening distributes clippings evenly for a superior after-cut appearance. • SureTrac™ 4WD parallel-cross-series system automatically transfers power where needed to provide superior traction for hill climbing and side slope operation. • Maintenance free, wet parking brakes deliver safe braking on even the steepest of slopes and reduce total cost of ownership with no linkages or pads to service or adjust. from www.jacobsen.com Engine: Kubota® diesel Tier IV Cutting Units: Five, TrimTek™ 22 in. (55.9 cm) rotary cutting decks Height-of-Cut: 0.75 – 5.25 in. in 0.25 in. (6 mm) increments Width-of-Cut: 90 in. (2.3 m) Dimensions: Weight: 3691 lbs. Length: 130 in. Height: ROPS Up: 89 in. ROPS Down: 61 in. Width: 98 in. John Deere 2500 B gas powered greensmower with very good reels. This is a 4 Wheel drive Diesel with cool top fan and canopy. Just serviced non tier IV Kubota diesel with new bedknives, filters and oils. Only 1121 hrs currently. Runs excellent . 11 bladed reels with 85 % or better life. Has groomers and rear roller brushes.